So here we have it, Samsung second attempt at bringing fourth the next generation phablet, the Galaxy Note 8. With hope that this time it's here to stay, exploding batteries not included. OK, a little side bar sarcasm I just had to get out of my brain, no, seriously, the Galaxy Note 8 got a lot of the good going on in terms of design and hardware, in hoping that it's enough redeem themselves from last year's disaster. So without dragging out this intro, here's what you need to know about the Samsung Galaxy Note 8, read along. What's Change With The Design? The Galaxy Note 8 design footprint pretty is the same as last year's iteration. Sharply straight corners, elongated build. In fact I would say Samsung played it safe with its design, but to be fair if you examine most manufacturers smartphones the trend is to go with the more compact thin build. 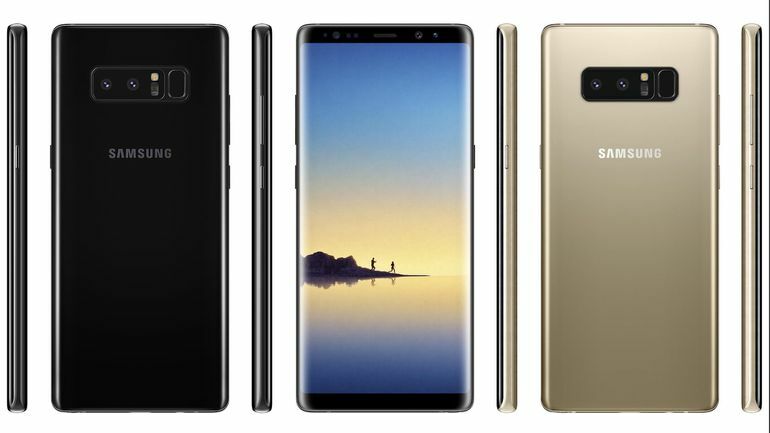 One glaring difference from last years model is size, the Note 8 is much bigger at 6.3-inches which is literally an handful. The Note8 also retains its IP68 water and dust proofing, the stylus falls under the same protection standard, including when it is removed from the cubbyhole. As mentioned in the previous paragraph the display is enormously big at 6.3-inches, making it the largest display on any Samsung smartphone to date. But the size of the display is no way the main attraction, it is its brightly lit with QHD PenTile display resolution that measures (2960 x 1960) with HD support. The biggest change to the Note 8 is the camera, rocking not one but two, making it officially the only Samsung smartphone to have a dual-camera setup. Both camera features a 12 MP sensor, for the regular lens you have a f/1.7 aperture, f/2.5 aperture for the telephoto lens. Then there's the bonus feature which is Live Focus, this allows users to tweak background blur as you're capturing the image. If you're reading this and have an basic knowledge in smartphones cameras then you know this feature is similar to Portrait Mode that's featured in the iPhone 7 Plus. The Note 8 hardware is impeccable as expected with one dash of disappointment, Samsung for unknown reasons decided to not go with the recently upgraded Qualcomm Snapdragon 836, instead its embeds an 835 processor which is no slouch by the way, with its quad-core processor ( 4 x Kyro 280 at 2.35GHz 4 x Kyro 280 Efficiency at 1.90GHz) . Other countries will will be receiving their Note 8's with Samsung's very own Exynos 8895 chip. On the memory front, there's plenty of it at 6GB, if 64GB storage capacity is not enough to store your precious content, like all Samsung smartphones users have the option to expand up to 128GB via microSD. Aside from the big display of course, the Note main staple feature is the Stylus pen. Once thought of as a gimmick, the stylus pen actually serves a useful purpose for many who have purchased past Gen models. 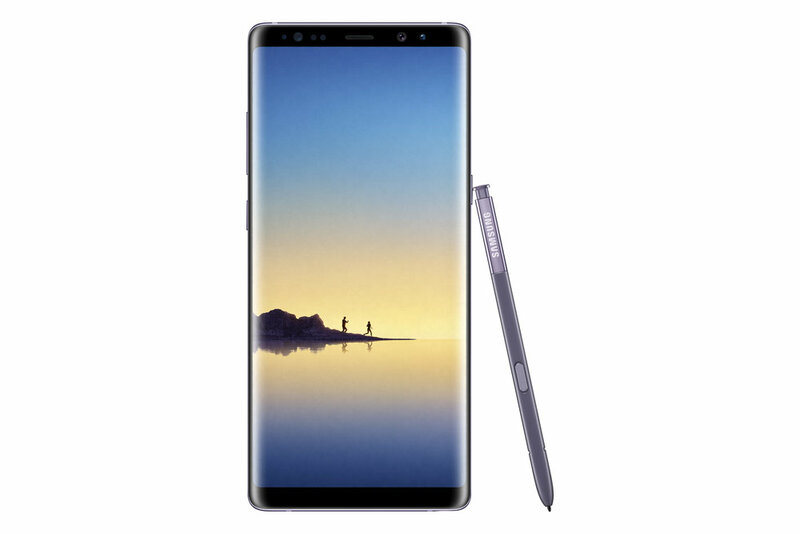 The Stylus pen on the new Note 8 I would say has gone through an incremented change, a hinge of added features that includes a Screen Off Memo that lets users start writing down reminders the moment you remove the pen from holding cubby hole that's at the very bottom of the smartphone. Users have the ability to still jot down notes on a locked screen. Writing mode remains on as needed, you can actually convert your jotted down notes into background as an always-on display. The screen-off Memo can save notes right directly to the Samsung Notes app, which you can add 100 pages with every new note per session. Interestingly, the Note 8 stylus is not just for note taking, you can get very creative and make animated GIFs from a YouTube video with the Smart Select feature that's available in your Note 8 Command menu. Note 8 stylus also includes a Live Message feature, this turns your entire scrawl into glitter filled animated image, a feature that's is easily accessible through the Samsung Keyboard app. The Note8 have all the attributes of being the perfect smartphone, or phablet. It has gorgeous display, impeccable hardware, dual cameras, and a much improved stylus pen. Not of that means anything if the battery doesn't hold up. The same praises were being said about the Note 7 last year before the inevitable happened, random reports of smartphones actually catching fire, some even exploding. According to Samsung, the lack of space for a high capacity battery was the main cause, leaving Samsung no choice but to implement a mass recall. Hoping history dose't repeat itself, Samsung has scaled down the size of the battery from 3500mAh to 3330mAh. The Note8 battery has gone through a "8-point Battery Safety Check" process, giving full validation of the Note's8 design and manufacturing. How to battery holds up remains to be seen, fingers should definitely be crossed once you purchase this device. What about That Price and Release Date? For AT$T which my current carrier, the Note8 will run $950, or you have the option payment $31.67 for 30 months on an AT$T Next installment plan. Verizon on the other hand will have the Note8 for $960, or for $40 a month for 24 months. Sprint, yes Sprint which still exist will also be carrying the Note8 and will offer the full retail price, but will have a deal of their own for the customer. If by chance you're switching to Sprint, you can purchase the Note8 with a entire new activation line for $20.00 per month, all through Sprint Flex plan. Then there's T-Mobile, arguably have the better deals of the four major carriers, the Note8 will run you $930. As an option, the carrier is offering the smartphone for a $210 down payment and $30 monthly installments right along with T-Mobiles own Equipment Plan, or for $0 down and $39 a month from the Jump on Demand customers. As with past smartphones from Samung where you have storage flavors to choose from, the Note8 will only come in a 64GB variant in the US, color scheme choices will be orchid grey or midnight black, while other countries will have choices of maple gold and deep sea blue.